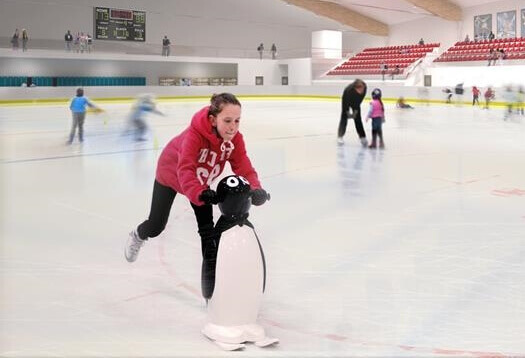 turnkey ice stadiums with top price-performance ratio! modern, sustainable and energy efficient! 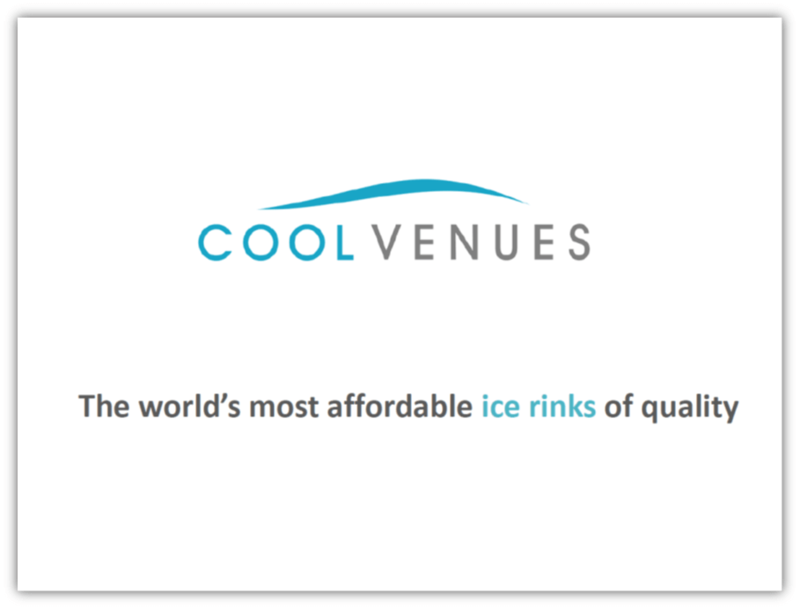 With our COOL VENUES team we deliver turnkey ice arenas at affordable prices. For this we have spent 3 years in the preliminary planning stage creating a complete supply chain sourced throughout Europe. True to the motto “a chain is only as strong as its weakest link”, we placed particular attention on ensuring that one gear perfectly fits into the other. Therefore, our clients have the assurance that their rinks are modern, sustainable and energy efficient, utilising the latest as well as the safest ice rink equipment. Based on this, all of our stadium models fulfill the same basic specifications. Highly efficient ICEGRID® ice rink system, professional dasher boards, optimal indoor climate control, low-emission ceilings, accessibility, highest bulding efficiency as well as comfortable arena seats and a full-surface rubber floor. 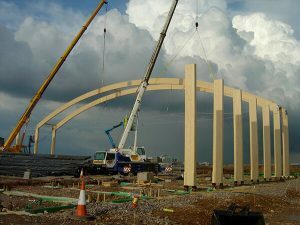 We work with a glulam roof, which is already fully planned in modular form and available in different sizes. Therefore, we can offer the best possible energy efficiency levels and large spans. In 1994, our architects of BIONG have already built the so-called “Viking Ship” – the Hamar Olympic Hall for the Winter Olympics in Lillehammer. It has already won numerous awards and even today the Viking Ship still serves as a model for modern stadiums. 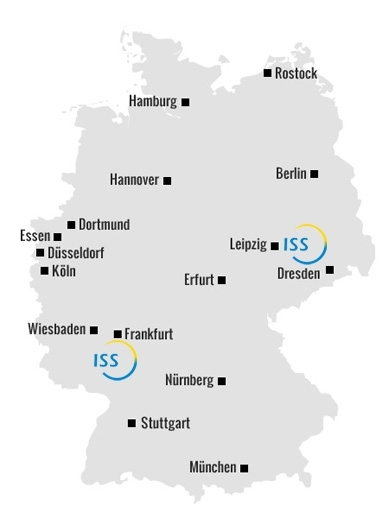 Further partners among others are DSA Engineering, Curtis Consulting, Monroe White Hilton and Ice Tech UK. 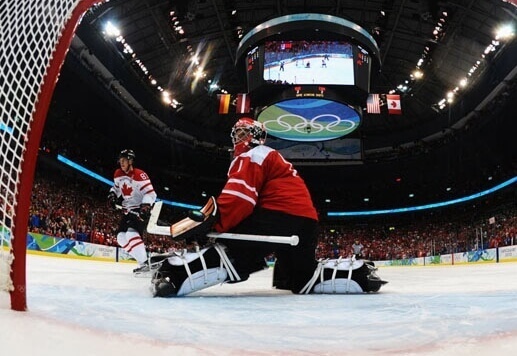 Therefore, our team not only has the experience of hundreds of built ice rinks, but also expertise and experience in public as well as stadium construction. 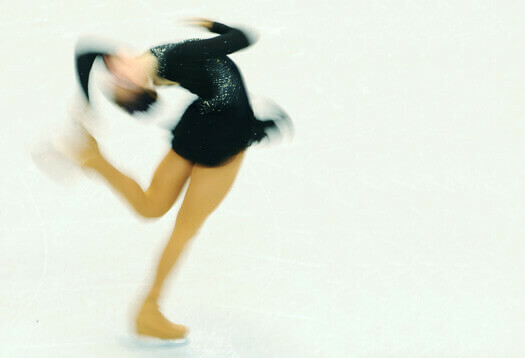 That much combined competence in the name of ice sports cannot be found elsewhere! Simply choose the right model from the following concepts and define the number of seats, the floor plan, the layout and the number of visitors. We plan, design and deliver according to your budget. Of course, we can also adapt our standard models according to the customer’s needs to a certain degree. The important thing is that the basic concept remains unchanged.